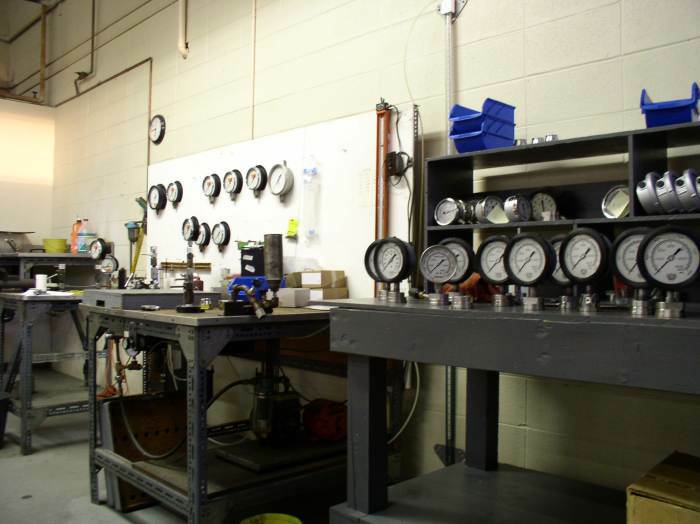 Quality repair of all brands of pressure gauges and various other instrumentation products is our specialty. 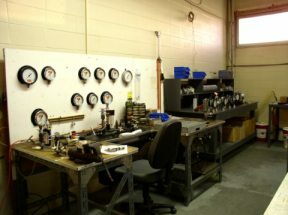 For services ranging from normal repair, conversion from dual-scale to metric or vice-versa, to custom dial installation, the CPW Repair Division will meet your individual requirements. CPW REPAIR DIVISION delivers "like-new" quality repaired guages, calibrated to manufacturer's standards, individually packaged and labeled. The care and attention each gauge receives from our trained personnel is shown below. 2. Bourdon tubes are checked for fatigue, corrosion, repeatability. 3. Socket connection threads are checked for wear. 4. Bourdon tubes and gauge cases are painted to a "like-new" condition. 6. Each gauge is calibrated to manufacturer's specifications. material, pressure range and connection size. 2. Three Point - actual & transfer readings at 25%, 50% and 75% of full scale. 3. General - certification stating gauge is calibrated to manufacturer's stated accuracy.